South African municipalities have ongoing challenges within their utilities sector – whether it be effective revenue management, financial matters, service delivery, or ageing infrastructure. netVendor Utilities, a Level 2 BEE rated company, can assist with smart utility management by way of prepaid electricity and water services. If you belong to a South African municipality, this Kwa-Zulu Natal based – and woman-managed company – has the solutions that you require for your smart and prepaid utility metering solutions. netVendor Utilities is headed up by Nozibele Sogoni. 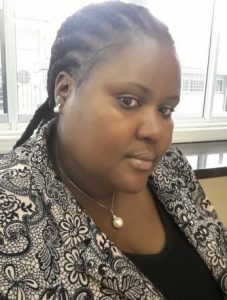 As an experienced and focused Managing Director, Nozibele brings with her over 10 years of experience in the prepaid electricity industry. This, coupled with over a decade in telecommunications, recruiting, customer services, and manufacturing sectors make her the ideal person to steer the ship. Nozibele insists on high levels of customer service within the organisation, ensuring all netVendor Utilities’ customers enjoy the right solution, maximising all available avenues. We have a mix of products to satisfy every need – from the single home prepaid meter system, to three-phase connectors for multiple units or commercial ventures.